About — New Paradigms, LLC. New Paradigms LLC has over 30 years of experience as a management consultancy specializing in helping organizations effectively and successfully embrace change and engage their workforces. Additionally, our experience has taught us that these key elements cross boundaries of culture, generation, and gender. They have proven to be consistent across industries and segments. Most importantly they must be addressed systemically rather than serially. Mark F. Herbert has over 30 years of combined corporate management and consulting experience in industries ranging from high technology and financial services to healthcare and ecotourism. His most recent corporate role was as Chief Operating/Relationship Officer for one of Oregon's largest credit unions. Mark is a Principal for New Paradigms LLC a management consultancy specializing in helping organizations effectively and successfully embraces change and engages their workforces. He possesses a BS in Management from Arizona State University, attended graduate school at the University of Oregon's Institute for Industrial Relations, and has received specialized training certifications in programs regarding facilitating change, sales and service management, employee communications, and human resources management. Using a model based on an integrated, systemic approach that includes strategies to address five key elements: respect, responsibility, information rewards, and loyalty; Mark facilitated and led teams and initiatives resulting in increased market share, improved profitability, and received national recognition for programs in education and healthcare management while officer at a large credit union. He has been a speaker and presenter at conferences on a local, regional, and national basis on leadership, change management, and human resources related topics. 2007 Shining Star Recipient from the Eugene Area Chamber of Commerce for Outstanding contributions to the community. 2007 selection to Credit Union Executive Society’s “Rising 100”- top 100 non-ceo’s in CU industry. The development and implementation of a program to recognize excellence in public education incorporating the efforts of two Chambers of Commerce, three school districts, and a major university. Molly B Scurto is a Senior Associate with New Paradigms LLC. Molly's particular expertise is in leadership, communication, engagement strategies, human resource management, mentoring and coaching, facilitation and team process coordination, and strategic planning initiatives, including corporate culture. Molly possesses Bachelors and Master’s Degrees in Education and Education Administration and additionally is a certified Master Trainer for AchieveGlobal, a certified Professional in Human Resources, and in the Keychange Institute coaching and facilitation process. Molly possesses over 20 years of consulting experience including the public and private sector working with clients including health care, industrial products, retail services, transportation, aggregates and construction and others. Molly is based in Lane County Oregon. Jacqueline (Jackie) Rice heads our strategic planning and implementation activities. Jackie's proven capabilities in business planning, business development, market and competitive analysis, strategic research and executive decision support were well established serving organizations including John C. Lincoln Health Network, PeaceHealth Oregon Region, PeaceHealth Medical Laboratories and Beckman Instruments. Jackie brings these capabilities to our clients in developing and executing strategies and initiatives with a primary focus in the healthcare and not for profit sectors. Jackie's education and experience includes over 30 years of managerial and executive experience, Bachelor of Science degrees in Microbiology and Medical Technology, an MBA, and certification as a Fellow of the American College of Health Care Executives (FACHE). 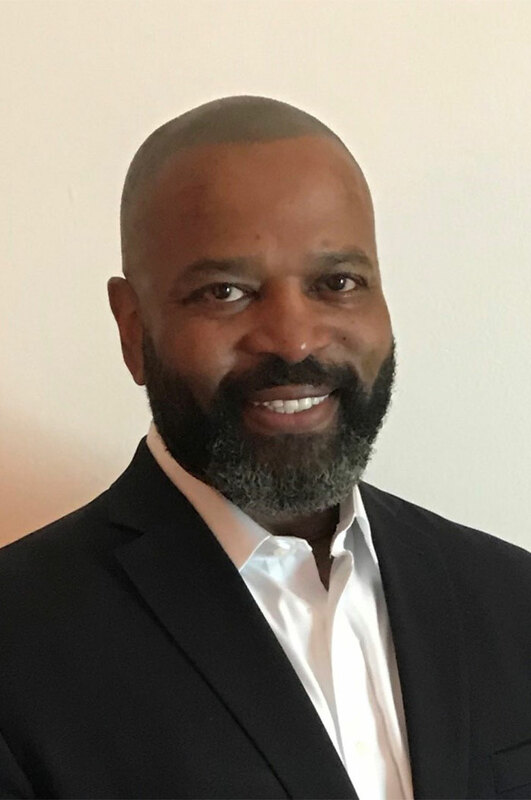 Rhone E. Lee is a new Principal for New Paradigms LLC. Rhone has over 35 years of combined Human Resources and corporate management experience in high technology (integrated circuit manufacturing / data capture) and retail. Most recently he was in a corporate regional role as the Vice President, Human Resources – Americas for a global technology firm (Datalogic). Rhone possesses a bachelor’s degree in applied Behavior Analysis (Psychology) from the University of the Pacific, and has received specialized training and certifications in programs regarding behavioral interviewing, sales compensation, human resources management and leadership development. Rhone has been a pioneer of successful Human Resources initiatives including: 360 degree feedback; market-based design of compensation and benefits systems, succession planning; right-sizing, talent management and acquisition integration. Rhone’s global experience ranges from start-ups to large multinational corporations. He has supported the local community and Lane County’s partners through agency Board membership and partnership with successful cooperative business initiatives. "Mark is a creative thinker and a great public speaker. Mark has great capacity and facility to analyze HR and organizational challenges and offer strategic guidance concerning how to navigate human organizational challenges. Mark is especially knowledgeable and insightful concerning employee engagement strategies and practices. "I always look forward to, and seek to create, opportunities to work and partner with Mark Herbert." "Mark is a high energy change agent. With his strength in organizational development and human resources he is the perfect facilitator for developing leadership at all levels of the organization. His style of leadership forces the organization to go beyond their comfort zone and challenge the status quo." "I used Mark to provide a leadership training to my staff of 20 supervisors and managers. His style was perfect for this group. He asked pointed questions and involved them in the discovery of building our leadership model both individually and collectively. The group said it was the best training that they have had and they were able to take away some concrete steps to accomplish what was discussed in the training, Mark did a great job, has been back for some follow up training, and I will continue to use him to build on the foundation that was laid in the initial training." "Mark Herbert is a thought leader in organizational change. His "Compliance to Commitment" ™ model reflects a profound commitment to the profitability and sustainability of every company that he works with. Mark is a true professional with an incredible passion for getting it right You will be pleased with Mark and his value added contribution." "I coach fundraising professionals to become superstars of their profession. My work takes me to all corners of the United States. When I need help, I reach-out to Mark. As a result, he has helped me become among the best at what I do. Mark is the ideal "coaches' coach": prompt, intuitive; confident; inspiring. I'm proud to have him as a member of my virtual organization." "Mark’s insights, perspective, and style I have found encouraging and supportive. That makes him effective." "As a business owner and consultant to many employers throughout Oregon, I have had the good fortune of working with many bright and inspired leaders in a broad range of industries. Approximately 20 years ago I met and began working with Mark Herbert. Mark worked for an employer in the region that employed approximately 500 employees and was actively engaged in the acquisition of other companies. I was immediately impressed with Mark’s quick grasp of technical subjects and his vision of the employment and risk management areas, fields that I have been associated with for the past 40 years. Mark was and is an original thinker—someone who moves the needle when it comes to strategic planning and guidance for employers. I see Mark as a person who is highly professional, is a gifted writer on technical subjects and an excellent speaker. Mark is an innovator and willing to push the envelope while managing the risk of any down side. Working for Mark led to a number of innovative programs never before accomplished in employee risk management. If you have occasion to use or consider Mark’s services as a consultant to your organization, I would highly recommend that you do so, as his capabilities are second to none and his delivery on commitments made, have resulted in significant and lasting growth."